LONGWOOD, Fla., Jan. 31, 2018 /PRNewswire-iReach/ — Victor Lawrence Roberts, MD, is a distinguished biographee of Marquis Who’s Who. As in all Marquis Who’s Who biographical volumes, individuals profiled are chosen from among a pool of the most prominent professionals and are selected on the basis of current reference value. Factors such as position, noteworthy accomplishments, visibility, and prominence in a field are all taken into account during the selection process. A widely regarded expert in the field of endocrinology, Dr. Roberts was recognized among the Top 5 Percent of Health Care Professionals in the Country by Castle Connolly in 2015. He draws upon more than three decades of medical experience in his position as the president and CEO of Endocrine Associates of Florida, PA. A Fellow of the American College of Physicians, Dr. Roberts is board certified in internal medicine, and the subspecialty of endocrinology, diabetes and metabolism through the American Board of Internal Medicine. In addition, he is recognized as a certified physician executive with the American Association for Physician Leadership. In recognition of his contributions to the field of endocrinology, Dr. Roberts has been listed among the Best Doctors in America since 1998. He has also been featured in a wide range of honors publications, including Who’s Who in America and Who’s Who in Medicine and Healthcare. Recently, Dr. Roberts was selected for inclusion in Who’s Who in the World. Previously, Dr. Roberts received a Practice Medicine Preceptor Award from the College of Medicine at the University of Central Florida. He has received numerous doctor awards since the turn of the century. A respected authority in his fields of practice, Dr. Roberts recently joined the Journal of Diabetes Research and Therapy as the editor-in-chief. He is also the current editor of First Messenger, a publication of the American Association of Clinical Endocrinologists. Since the inception of his career, Dr. Roberts has contributed articles to professional medical publications in both English and Spanish. Driven by a desire to make a difference in health care, Dr. Roberts chose to pursue a career in medicine. He received a Bachelor of Science in biology from Hobart College in 1974, and an MD from the Autonomous University in 1979. Thereafter he completed a residency at Upstate Medical University, in Syracuse, N.Y. as well as a fellowship in endocrinology, diabetes and metabolism through the University of Miami. Dr. Roberts also holds an MBA, which he completed through the Crummer Graduate School of Business in 1995. 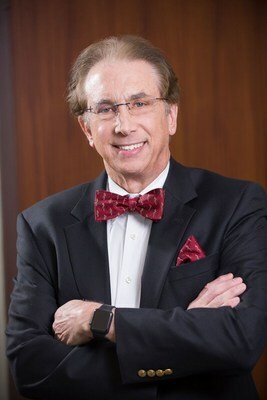 Upon completing formal education, Dr. Roberts served as a consulting endocrinologist with the Endocrine and Diabetes Association of Texas for three years. 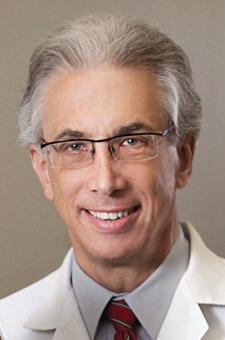 For the next three decades, he has been recognized as a consultant endocrinologist, CEO and president of Endocrine Associates of Florida, PA.
Dr. Roberts initially joined the College of Medicine of the University of Central Florida as a professor of internal medicine in 2008. He also holds the title of clinical professor of clinical sciences with the College of Medicine of Florida State University, clinical professor in pharmacy practice with the College of Pharmacy of the University of Florida, and clinical professor of medicine with the College of Medicine of the University of Florida. In an effort to stay alert of recent developments in the field of medicine, Dr. Roberts maintains involvement with the ABQAURP, American Institute for Healthcare Quality, American Association of Clinical Endocrinologists, American College of Endocrinology, American College of Physicians and American Diabetes Association. He previously served as a national board member with the American Association of Clinical Endocrinologists and as a member of the national board of directors with the American Diabetes Association. • 7:30 a.m. CT to 9:00 p.m. CT, through Friday, September 8. Please check diabetes.org/hurricanerelief for all updates. For people with diabetes, having a natural disaster emergency plan can make a big difference when it comes to managing a crisis. • Become familiar with evacuation routes, collect necessary medications and supplies for an evacuation box and create a family communications plan. Visit www.ready.gov or www.listo.gov to learn these and other preparedness tips for tropical storms. • Download the FEMA Mobile App to receive alerts from the National Weather Service, get safety and survival tips, customize your emergency checklist, find your local shelter and upload your disaster photos to help first responders. • If you have a National Flood Insurance Program (NFIP) flood policy, you may be eligible for reimbursement of actions taken to protect your property. Call your insurance agent to find out more. www.mydiabetesemergencyplan.com, is a checklist format contain information and resources for patients, healthcare professions and local emergency managers, as well as a video showing how to put together an emergency kit and downloadable PDFs in both English and Spanish. The Partnership for Inclusive Disaster Strategies has a hotline, 1-800-626-4949, to help people with disabilities and the elderly to safety and provide immediate needs of durable medical equipment and supplies. Additional information is available online here. Centers for Disease Control and Prevention For hurricane resources from the CDC, click here. Online information for the Department of HHS support services can be found here or you can contact the HHS Disaster Distress Line 1-800-985-5990. Florida 511 provides an interactive map of all Florida roads and highways. Click here to read messages boards over roads and highways throughout the state. Or dial 511. Stay safe and take all life-saving precautions. We are now offering Friday hours to better serve you! We are now offering Friday appointments 8:00 AM – 12:00 PM every Friday! – Call now to make an appointment as they are filling up fast! Attention to all adults currently treated for diabetes mellitus. If you are over the age of 18 and have diabetes, please take this five-minute survey. Your participation is strictly confidential; only your personal responses are needed. There are no wrong answers. Conducted through The American University in Washington, D.C., the study aims to understand better the patient self-management of diabetes, while studying the impact of social media on healthcare communication. Endocrine Associates of Florida, P.A. offers this simple survey, with the hope of improving how to best appreciate the impact of various internet based education tools. We thank you for considering your kind participation. Most professionals in a specific field are invited by the Editor of journals to conduct reviews. Reviewers play an essential part in science and in scholarly publishing. For more than 300 years, scientists and scholars have relied upon peer review to validate research, engage other specialists in the support of submitted work, and increase networking possibilities within specific specialist communities. Uphold the integrity of the journal by identifying invalid research, as well as helping to maintain the quality standards of the journal. Fulfill a sense of duty to the scientific community and their own area of concentration. Establish their expertise in and knowledge of the field. Increase their reputation and exposure in the field. Stay up to date and “in the loop” with respect to their discipline’s literature. Have access to the very latest research and discoveries in the field prior to colleagues. Victor Lawrence Roberts, MD is proud of his professional contribution without which it would be impossible to maintain the high standards of peer-reviewed journals. – Victor L. Roberts, MD, MBA, FACP, FACE, has been recognized for showing dedication, leadership and excellence in medical care. With three decades of experience in his field, Dr. Roberts is known for his expertise in endocrinology. Daily, he offers consultative services for diabetes, thyroid conditions, metabolic disorders, and osteoporosis. Additionally, his practice, Endocrine Associates of Florida, P.A., offers the services of a nurse practitioner and a staff committed to delivering high quality medical care, incorporating state-of-the-art diabetes management with insulin pump clinics. Well equipped to aid his patients, Dr. Roberts earned his MD from the Autonomous University of Guadalajara School of Medicine, and a Master of Business Administration from the Crummer Graduate School of Business, Winter Park, FL. Dr. Roberts served his internal medicine residency at The Upstate Medical University in Syracuse, NY, and his fellowship in endocrinology, diabetes, and metabolism at The University of Miami School of Medicine, Jackson Memorial Hospital and Affiliated Centers, Miami, FL. Dr. Roberts is recognized by Castle Connolly as a Regional Top Doctor and by Marquis Who’s Who in America and Marquis Who’s Who in Medicine and Health Care. 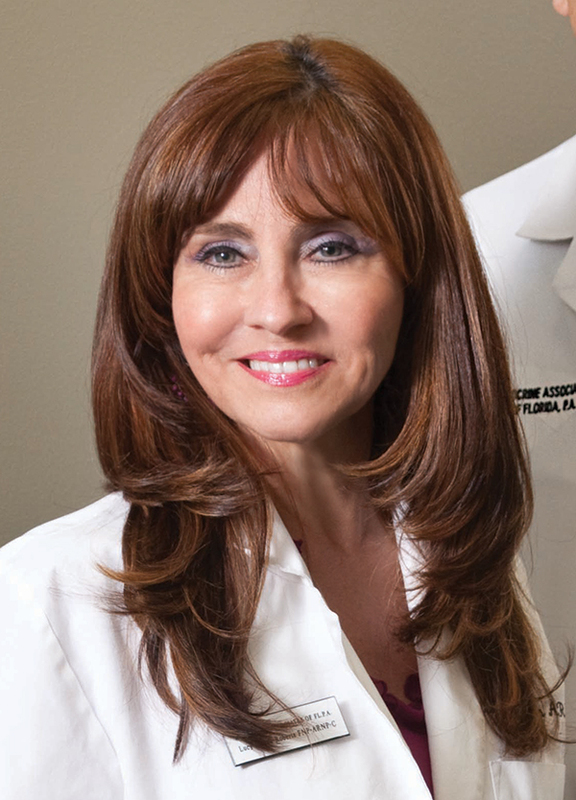 Committed to educating practicing and future physicians, Dr. Roberts is a Professor of Internal Medicine at the University of Central Florida College of Medicine, Orlando, FL. A tried and true professional, Dr. Roberts is a Fellow of the American College of Physicians and American College of Endocrinology. Additionally, he is a Diplomate of the American Board of Internal Medicine and the subspecialty of Endocrinology, Diabetes and Metabolism. In the coming years, Dr. Roberts and his office will continue to work on maintaining and improving all services provided, with a dedicated focus on the needs of each and every patient. Every year we join the American Diabetes Association in their Step Out: Walk to Stop Diabetes event in the month of November. This year’s event was held on November 8, 2014 at Bill Frederick Park and was attended by 77 teams of over 1,000 individuals who raised over $ 200,000 for the American Diabetes Association. 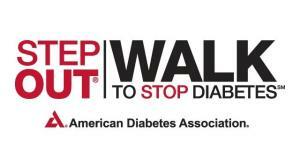 The American Diabetes Association has held Step Out walks across the country for more than 20 years. Collectively, the walks have raised over $175,000,000. About 26 million adults and children in the United States have diabetes, and 231,404 Americans die with diabetes as a contributing factor. We participate and promote this great event every year to raise awareness and education on the subject. 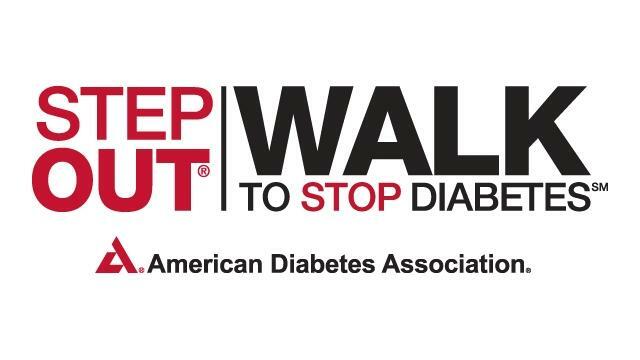 You can help the American Diabetes Association stop diabetes by attending this walk. Besides the walk itself, the event has local entertainment, music, food, and family activities. Endocrinology is the discipline (sub-specialty) of internal medicine that is focused on the endocrine glands (organs) of the body. You might think of it as looking at the many internal secretions of chemicals (hormones) that help you function normally. An endocrinologist is a physician that first trains as an internist, then takes additional training (usually 2-3 years) to qualify for certification in endocrinology, diabetes and metabolism by the respective oversight board. 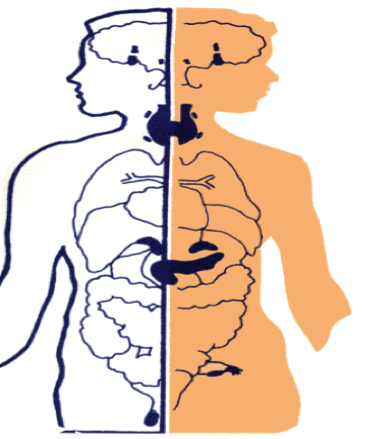 An endocrinologist cares for patients with specific metabolic disturbances, not just a series of laboratory tests, scans, or biopsy reports. As a consultant to the patient and the referring physician or other health care professional, the endocrinologist must identify the most important medical concerns. It is vital that your health care team collaborate, as each professional has different roles, and ideally there should be a coordinated health care plan. The most common adult endocrine disorders include both Type 1 and Type 2 diabetes mellitus, metabolic syndrome and thyroid conditions, such as hypothyroidism, hyperthyroidism and nodular goiters (enlarged thyroid glands). 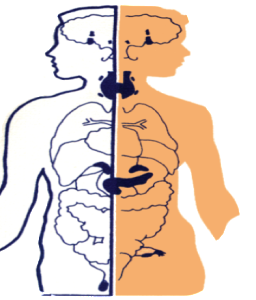 Other organ systems your endocrinologist may assist with include, but are not limited to, the pituitary gland, reproductive organs (ovaries and testes), adrenals and metabolic bone disease, a common example being osteoporosis. Most importantly, the physician–patient relationship should serve as the most important therapeutic process. Dr. Lucy Duque-Roberts is a Family Nurse Practitioner with over 30 years of experience. She earned her MSN from the University of Phoenix, and her ARNP certification from the University of Central Florida. She then acquired her Doctorate of Nursing Practice at the College of Health Professions at Pace University in New York. Dr. Duque is Board Certified through the AANP in Family Health and has been awarded Most Culturally Competent DNP Student and is also a member of Sigma Theta Tau Nursing Honor Society. She has extensive experience administering Botox, dermal fillers, and applying various hair removal and skin rejuvenation lasers. Dr. Duque enjoys working with individuals and families throughout their life cycle including children, adolescents, adults, and the elderly. She brings a unique blend of medicine and nursing to her role through a holistic approach, and believes educating patients will empower them to make the best decisions on their quest for health.